Entertaining prospects? Thanking clients? Engaging in team-building? Make it unforgettable. The Commodore Bar & Restaurant, University Club of St. Paul, W. A. Frost and the Saint Paul Athletic Club have seen a lot of history in their days. There’s hearing stories about F. Scott Fitzgerald. And then there’s hearing stories about F. Scott Fitzgerald as you grab a seat at the same bar he frequented, hearing sounds of the Jazz Age and feeling as though you’ve stepped into the world’s most elegant time machine. We’ve collaborated with Commonwealth Properties to host our programs and we’d like to extend an invitation to you. 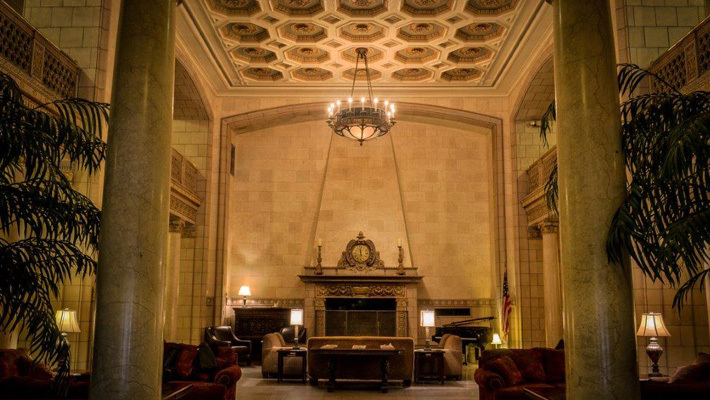 Commonwealth Properties has been restoring St. Paul’s landmark buildings for more than 40 years and their portfolio includes such iconic spaces as the Commodore Bar & Restaurant, University Club of St. Paul, W.A. Frost and the Saint Paul Athletic Club. Their historic properties match the historic significance and cultural richness of our programs, making them the ideal backdrop. Even better, their chefs and bartenders feature locally-sourced ingredients—from local cheeses, produce, fish and meat to locally-crafted beer and distilled spirits—as well as inimitable international wine lists. Where will you choose? History, food and culture await. Contact Julia Struve, Commonwealth’s catering director, 651.222.1751, jstruve@universityclubofstpaul.com to plan your event. Tell her Joan sent you.